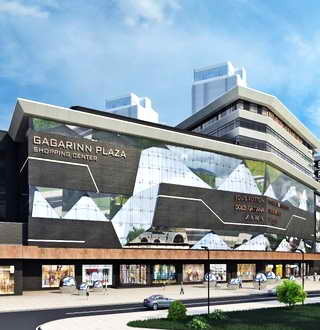 The new modern hotel Gagarinn is opened in Odessa in may 2014 years. 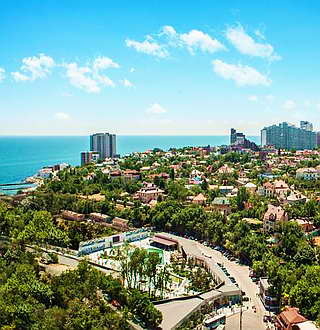 The hotel is situated in Arcadia - one of the most prestigious parts of the city, in walking accessibility to the best sandy beaches in Odessa, numerous cafes, restaurants and nightclubs. 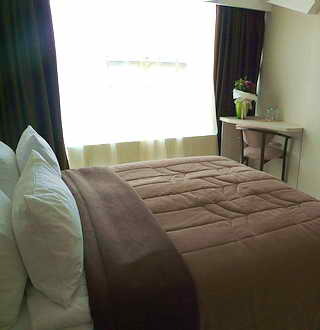 Resting near the sea, guests at the same time remain a 15-minute drive from the city center. 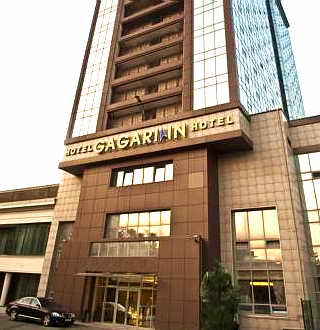 Gagarinn Hotel offers 254 comfortable rooms of different categories (1 VIP room, 11 Studio rooms, 45 Suites and 200 Standard rooms). 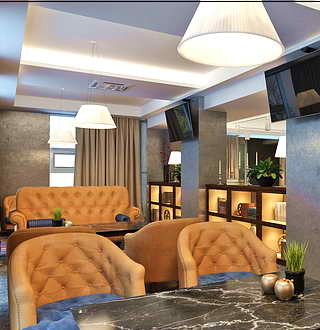 All the rooms in Gagarinn hotel are equipped with: plasma TV with cable TV, air conditioning, electronic locks, telephone with on long-distance communication, mini -safes, soundproof glass package windows, minibar. 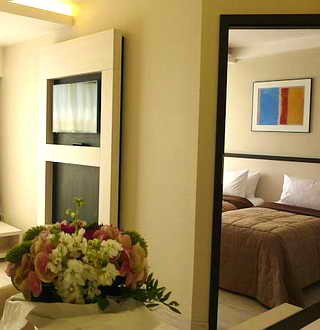 Free Wi-Fi Internet in the rooms. 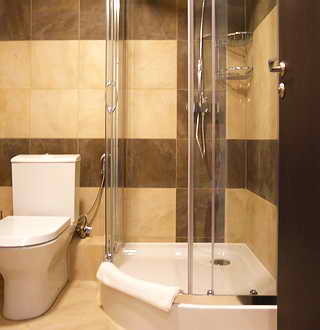 There is a shower or a bath, a set of mini perfumes, slippers, bath towels and beach towels in the bathroom. 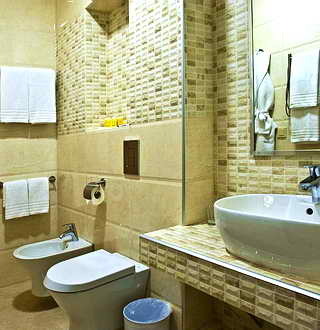 There is a bidet in the suites, studios, VIP rooms. 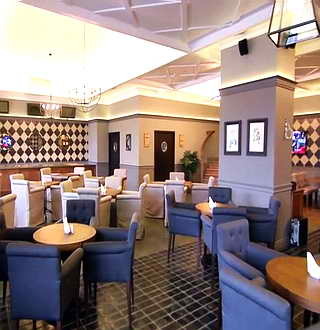 Hotel Gagarin offers a restaurant Gagarinn Food Hub upto 200 persons, a lobby bar, a free parking, a business center, a luggage storage and laundry services. 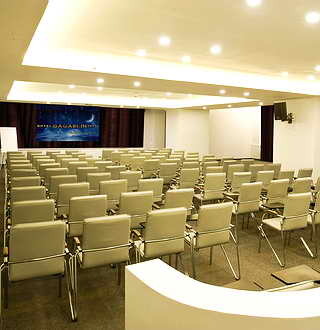 9 conference halls and meeting room of the hotel with different capacities from 20 to 300 people will allow for activities here of any complexity and character. 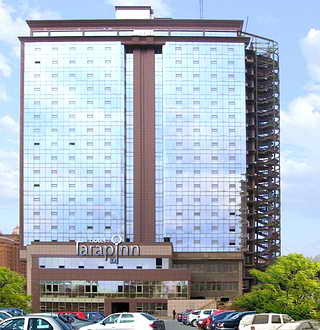 Attached to the hotel is Shopping Center with boutiques, supermarket, restaurants and cafes. 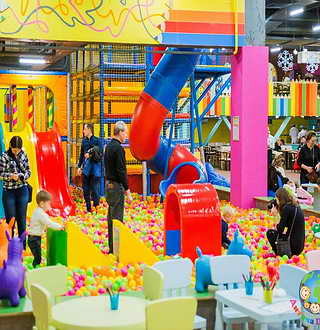 A floor here occupies Сhildren's entertaining Park 2500 m2, which includes a children's restaurant, trampolines (800 m2), huge houses on the tree, labyrinths, climbing frame, slides and pools with balls. Working animators, nurses and various master-classes. Breakfast not included in rooms price! 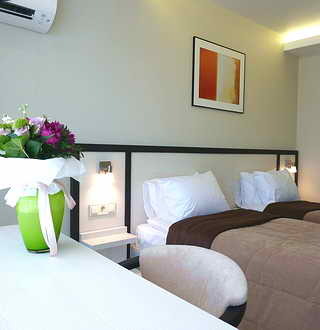 One room with two twin beds or 1 double bed. 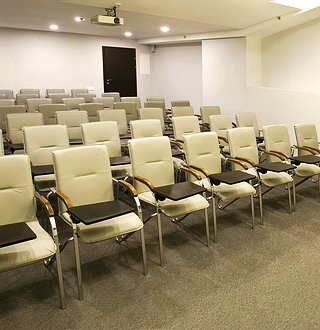 4-5 floor. 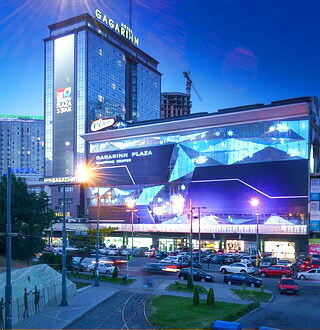 Мiew of the wall of the shopping centre. 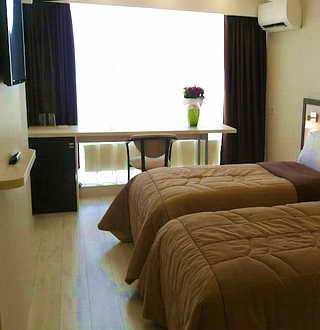 There is an air conditioner, a TV-set, mini-bar, a bathroom with shower, a hair dryer. 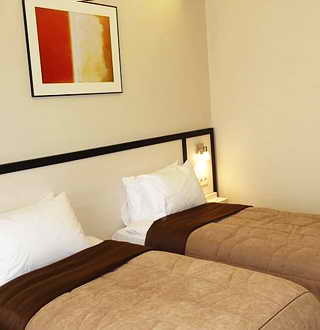 One room with one double bed or 2 twin beds. 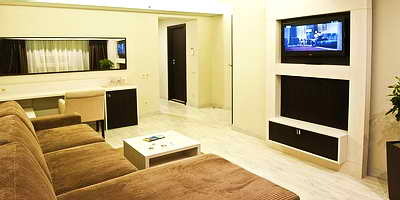 There is an air conditioner, a TV-set, mini-bar, a bathroom with shower, a hair dryer. 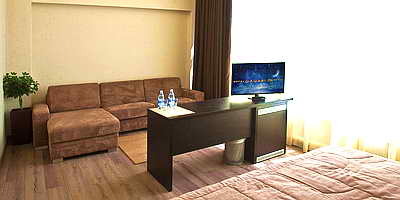 In the room a double bed, air conditioners, TV set, telephone, mini-bar, mini-safe. In the bathroom, bath tub, bathrobes, slippers, cosmetic set. 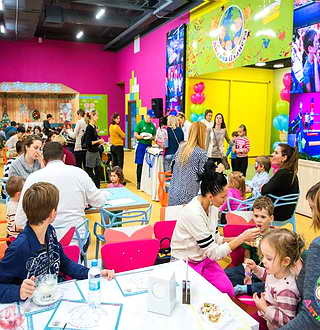 A spacious, bright room. 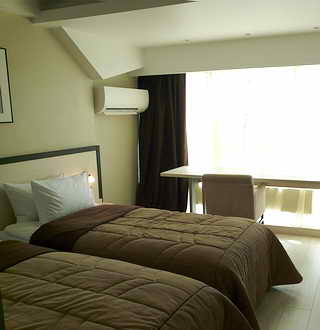 The room is divided into 2 zones: a bedroom with double bed and a living-room. 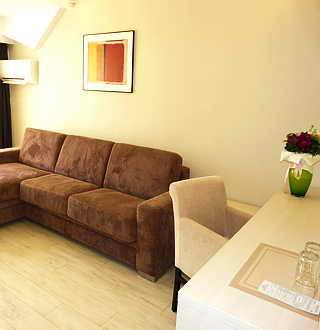 There is a air conditioners, TV set, telephone, mini-bar, mini-safe. In the bathroom, bath tub, bathrobes, slippers, cosmetic set. 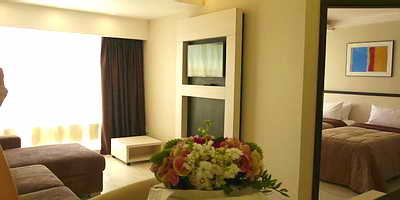 Exclusive room on the 19 floor, consists of bedroom, living room, hallway and balcony. 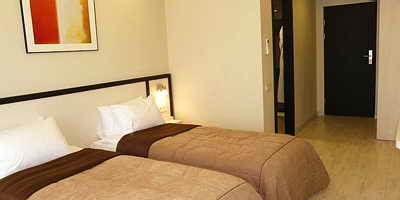 In number a double bed, air conditioners, TV set, telephone, mini-bar, mini-safe. In the bathroom, bath tub, bathrobes, slippers, cosmetic set. Breakfast is not included. It's additionally payed UAH 185 (USD 7). 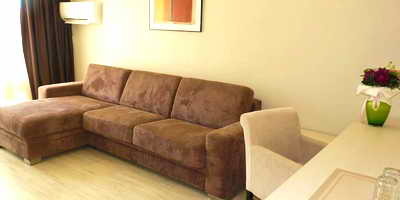 ** Non-refundable tariff is valid on prepaid only and in case of cancellation reservation NO REFUND. * WEEKDAYS: Sunday - Thursday. WEEKEND: Friday - Saturday and National Holidays. I was very pleased! 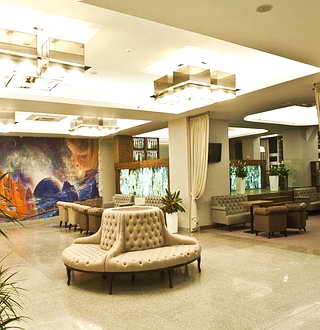 The hotel is new! 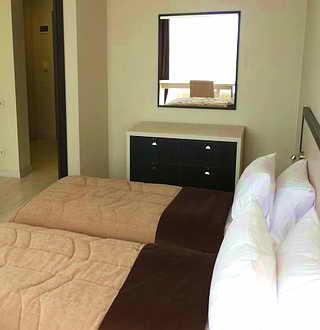 Nice interior,clean comfortable room, good place not far from the sea (5 minute walk), some rooms have sea view!Free parking.Very helpful and friendly staff. Close to Arkadia and beaches.